In terms that non-architects can grasp (and modern architects can't dismiss! 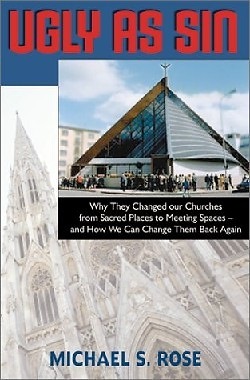 ), Michael Rose shows that many modern churches violate the three natural laws of church architecture and lead Catholics to worship, quite simply, a false god. Rose also provides solid arguments (as easy to explain as they are hard to refute) and practical tools that you can use to reverse the dangerous modern trend toward desacralized churches -- and to make our churches once again into magnificent Houses of God!